The story of David and Goliath from the Bible has massive appeal to children. A young boy defeating an armed giant. This story tells of how little people can achieve great things when all the odds seem stacked against them. 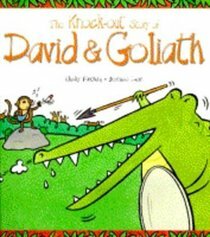 About "The Knock-Out Story of David & Goliath"